Sanremo, December 2007. 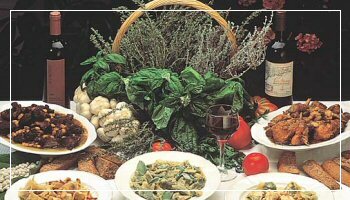 The gastronomic event of the meeting between the food traditions of Liguria and Piedmont renews itself for its third consecutive year. Two weekends dedicated entirely to the research of ancient flavors and classic regional specialties. Wine, cheese, sweet and sour cakes, great combinations and samples at the Palafiori of Garibaldi Avenue in Sanremo. For information: Promoshop – tel. +39 335-7059586.